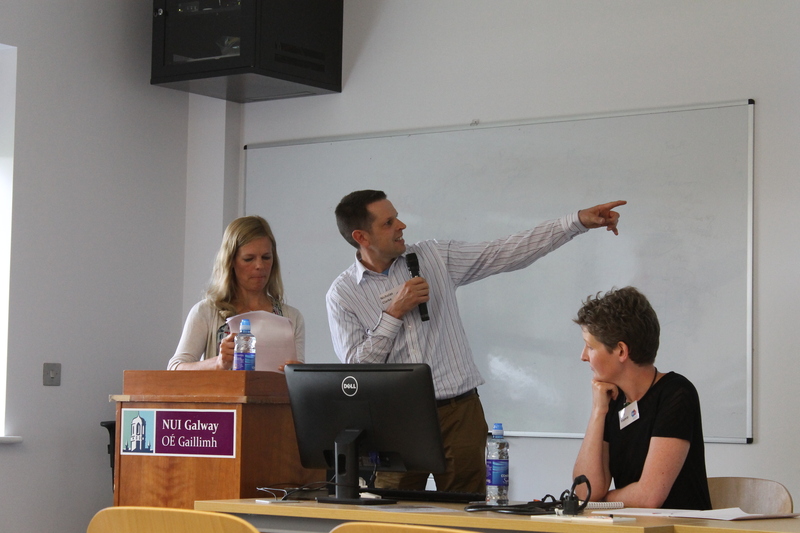 On the 22nd and 23rd of September we held the first of our thematic workshops on criminal responsibility in the Institute for Lifecourse and Society, NUI Galway. The first day of the workshop was a private day where the storytellers and respondents who have chosen this theme worked together with international experts in the area and a creative writing facilitator to develop their pieces for the final edited collection. The second day was a public seminar on rethinking criminal responsibility in light of the UN Convention on the Rights of Persons with Disabilities with presentations from Dr. Florencia Heggelin, University of Buenos Aires, Professor Bebhinn Donnelly-Lazarov, Swansea University, our storytellers, Nicholas Clarke and John Kidney and respondents, Dr. Nell Munro and Maria Gomez Carrillo de Castro, practitioners and members of our advisory board. A full programme of events is available here. The presentations looked at how key components of the criminal justice system, such as unfitness to plead and the insanity defence, can be reconstructed in a way that does not discriminate against people with disabilities. Videos of the presentations are now available on YouTube at this link.